Early word from people working up at the ski area is that the new owners of the resort are really pretty good. 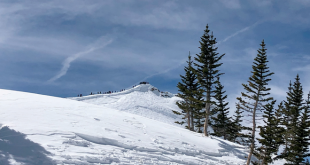 The employee benefits appear to be an upgrade from the previous ownership and Vail Resorts managers are focused and professional and have the people humming in anticipation of a new ski season that is a mere 50 days out. The initial reviews are positive and there seems to be an uptick in the work attitude. 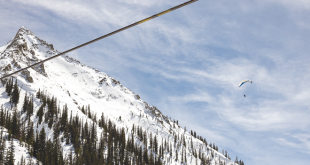 In the bigger picture, there seems a community anticipation to figure out ways to collaborate with this corporate entity to maintain the uniqueness of Crested Butte while skimming off some of the benefits that money can bring to a ski area. Let’s see where that work can take us. 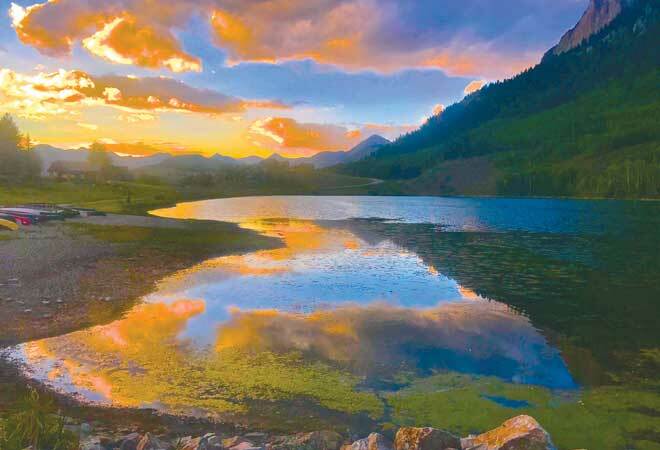 The town of Crested Butte and the Crested Butte Land Trust had a pretty good meeting last week concerning protection of the blue heron rookery located on the Upper Slate River. Pretty much everyone expressed a desire to protect the birds and a working group of interested stakeholders have come up with ideas to do so. While closing that stretch of river during the nest initiation period might be the most complete solution, there is a kink in that idea. People can basically float a river in Colorado as long as they don’t touch the riverbank or the riverbed. The easiest put-in for the Upper Slate is located at the Oh Be Joyful campground that lies above the rookery and is managed by the federal Bureau of Land Management (BLM). It was made clear at last week’s meeting that the BLM would not prohibit floaters from launching from the federal property under present circumstances. So now the working group is doing what they can to mitigate impact on the rookery and have support for a voluntary closure during the most sensitive nesting time until June 15. In the meantime local leaders can begin the process to lobby and partner with the BLM and see if special rules could be implemented on the BLM property to prohibit river put-ins during the critical nesting period. That will take work and a federal process that as we all know is never simple. Looking for a put-in below the rookery is also a possibility and that too will take work. But there are probably some spots on private property that could be cultivated and the land trust has a parcel that might be available down the line. Again…there is the need for more work. The grueling process to find the sweet spot with the proposed affordable housing development at the corner of Brush Creek Road and Highway 135 will also take more work. It feels like the players in the depths of negotiation might not be able to see that there is still potential for the proverbial win-win. There remains some personal animosity between some of the stakeholders and that might be shading the potential. But if you look at the reduction in number of potential residents and the idea for cutting out a space for future parking and recreation that will be paid for by the government entities, the two sides are getting closer to a solution. The need to have a good neighborhood project that doesn’t simply warehouse workers is important. The concept of not throwing in millions of public dollars for deed-restricted housing is a strong positive. Closing that final gap that works for both sides can happen. It may not make everyone happy but it can work—and that will take work. The final couple of yards before the goal line are the hardest to pick up. So I hope they all keep the conversation going even when the personal animosity in this deal makes the conversation sometimes feel like sandpaper on a sunburn. A federal judge ruled against the county and the local stockgrowers’ association last week, stating that the Gunnison sage grouse needs the heaviest of national protection. That too feels like sandpaper on a sunburn. 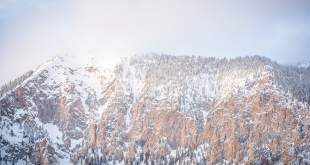 The county has been successful in working with private landowners, particularly ranchers, along with recreationalists and others to effectively protect the birds in the Gunnison Basin. And as acknowledged in the court document, those efforts are productive. Setting aside more than a million acres where hardly anything will be allowed to happen for the remaining birds seems a stretch when there is a plan in place that has been effective. The decision essentially allocates literally hundreds of acres per individual bird. Talk about a density issue being out of whack that would really drive the Gatesco team nuts. Here, here. That can be applied to just about everything we do here. We are a small community that works hard to accomplish real goals. Look at the Shady Acres development the county is proposing—spectacular. This community is good at rolling up its sleeves to look for out-of-the-box solutions to problems. There is sincere gratitude to all those who get involved with passion, intelligence and perspective. Thank you. Despite a federal judge and a federal agency making decisions from afar when it seems things are actually working and could be applied to other areas as a collaborative example, we need to continue to do the hard work. It isn’t always easy and the next step is probably the awful decision for every side to just hire more lawyers to let more judges tell us what to do. There is nothing good about that. That alternative is like sandpaper on a sunburn.